Our Simple Living Toowoomba workshops recommence next month on Saturday 17th February when local herbologist, Josh Neideck, will share about how to grow herbs, how to use them medicinally and what herbs grow well locally. 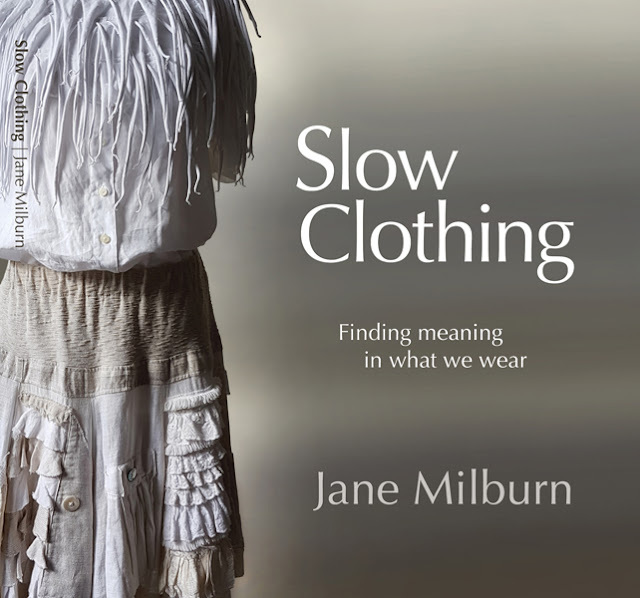 Then on the 3rd March Jane Milburn, author of Slow Clothing: Finding meaning in what we wear, will explain what the concept of 'slow clothing' is. 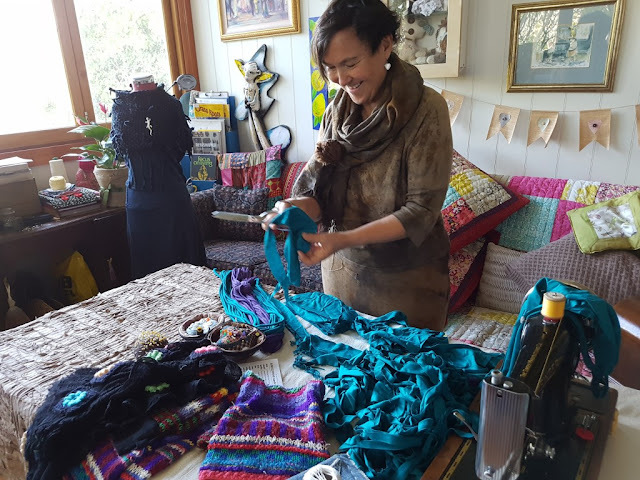 Jane's book was based on five years of her journey into natural fibres and upcycling and was launched in Sydney by Craig Reucassel who was the presenter of the War on Waste series on the ABC last year. These two workshops should be very popular so make sure you book in so that we know how many are coming along. Normally our workshops are on the third Saturday of the month but Jane has a very busy itinerary and she could fit us in on the 3rd March but we will be back to normal in April. This year instead of swapping up to five handmade or homegrade items we will have a 'gifting table' so if anyone has excess produce, 'Ugly Duckling' soap like I have sometimes or something else you would like to share please bring it along but it would be appreciated if you take it home with you if it hasn't gone by the end of the meeting. That makes it easier for those of us who clean up the venue afterwards. Margy has put the information for the workshops on the Simple Living Toowoomba website but here it is as well for those who might be interested in coming along as I know some Brisbaneites often make the trip up the Range for our workshops. What: Toowoomba herbologist and trained horticulturalist, Josh, will be giving us tips and advice on how to grow herbs, what herbs grow well in our area and how to use herbs for medicinal purposes. What: Slow Clothing is the antithesis of fast fashion. It is a way of thinking about, choosing and wearing clothes so they bring value, meaning and joy to everyday. We consider the substance of clothing as part of an holistic approach to living lightly on Earth. Join us for a conversation with social entrepreneur Jane Milburn about how to get the best out of existing clothes. Jane is the author of a new book, Slow Clothing: finding meaning in what we wear. It was launched by ABC-TV's War on Waste crusader Craig Reucassel late last year. Bring along a few garments you are holding on to, but not wearing, and we will discuss options to upcycle them (and implement within the timeframe). Alternatively bring along garments that need mending or minor adjustments to extend their wearable life. We are planning more great workshops for 2018 and quite probably will have another rag rug workshop which is always hugely popular. In Queensland school starts back next Monday on the 22nd January so it's goodbye to the Christmas holidays as families will be back into the school routine for another year. If you are a local or live in the region do come along to one or all of our workshops as it is great to meet up with others who are interested in simple living. It should be a good year. A big welcome to those who have started following my blog on Bloglovin' lately. Have a great week everyone! Chel, is the plant in the last photo ftom your garden? Gotukola is a very popular plant in Sri Lanka. We cook it like other greens, make salads and also porridge. It has lots of medicinal values and also is a memory booster. Yes it is from our garden, Nil. That was one of my first attempts at metal stamping...a bit wonky :-) I bought the Gotu Kola for arthritis as it is supposed to lessen the pain apparently. I haven't used it a lot but arthritis is starting to make its presence felt so I definitely will be chewing a few leaves daily in the future. I like the sound of the slow clothing workshop Chelle, it's not a long day either, I might think about coming. You have some great workshops there, a few of us tried to do something similar here, but they didn't really take off....different demographics perhaps? That would be nice if you could make it, Nanette. It should be a very informative morning that's for sure and it is great that Jane was able to fit us into her busy schedule. That is a shame about your group not working out. We can promote our workshops on ABC radio and also through our local newspaper for free so perhaps that would help to let people know about a workshop if you wanted to try again. We did lots of promotion, including our local Mbah Facebook pages..... we had a lot of people contacting us who were interested in teaching workshops, so maybe we already have a lot of "converted" lol Our valley is home to all the original hippies and Age of Aquarians, so many people have these skills and have been practising simple living for decades. Yes you are probably right, Nanette. You would be preaching to the converted. LOL! Pauline, I think I recommended it to our local library as you can do that online. Anyway, I am on the reserve list when it becomes available so that's good. Yes, I am looking forward to meeting Jane, Meg. It should be a great workshop.